Lavender scent aides in relaxation and restful sleep. How to Use: Gently crush the herbs with fingertips to stimulate the scent. 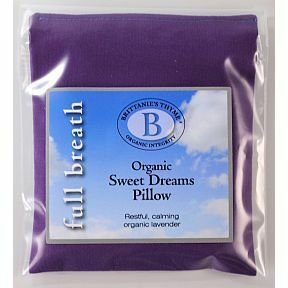 Place lavender pillow inside pillowcase at night. Will last up to three months if kept in a ziplock bag when not in use.